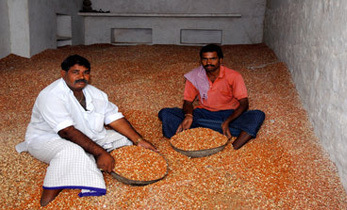 Recommendations to improve farmers’ incomes through sustainable production and marketing of legumes, marked the 7th International Food Legume Research Conference (IFLRC-VII). 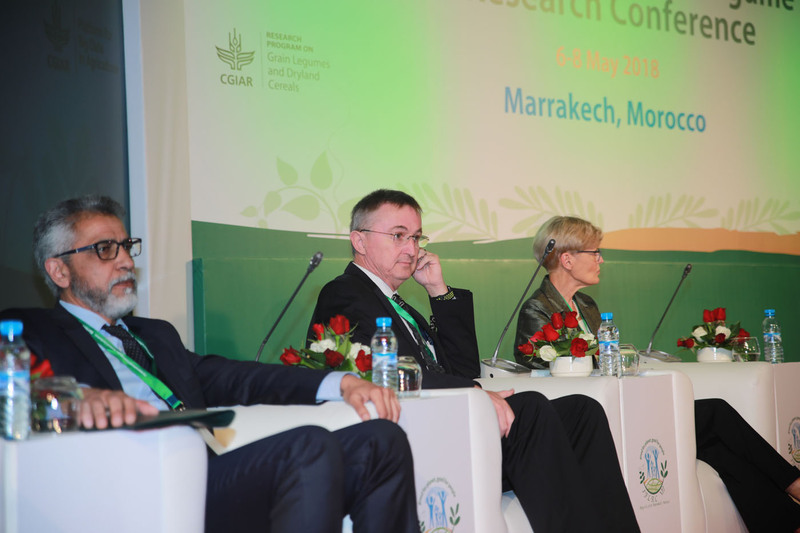 Held in Marrakech, Morocco, in May, the emphasis was on stronger multidisciplinary research partnerships and enhanced cross-country collaborations to develop and promote improved varieties for nutrition security. 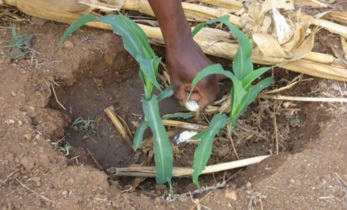 Research agendas to focus on intercropping of legumes and cereals, as cereals will continue to be a major diet component for both humans and livestock. However, without legumes, there will be no breakthrough toward climate-smart cereal production in terms of nitrogen and water-use efficiency, soil quality, pest, diseases and weed management. The global trend shows increased consumption of legumes and availability of value-added products; in parallel, there is an increasing trend of legume production in many countries (e.g. India, Canada, Myanmar, Ethiopia, Australia and USA) driven by either area and/or productivity. 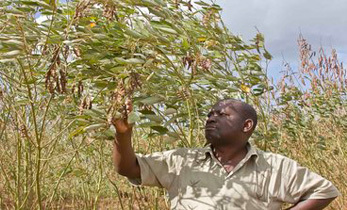 Success stories of chickpea in Myanmar, Ethiopia and southern India and pigeonpea in Tanzania with improved cultivars and production technologies for increased production and income, were shared. The availability of short-duration varieties (e.g. chickpea and lentil) helped in expanding area of legumes to new niches and sustainable intensification of cropping systems. Evidences of progress on biofortification in some of the legumes (e.g. lentil, pea) and in development of genomic resources for food legumes were shared. The need for greater use of these genomic resources in breeding programs of food legumes was emphasized. Dr Peter Carberry, Director General (Acting), ICRISAT, emphasized on strengthening interdisciplinary research collaborations to enhance farmers’ income from legumes. 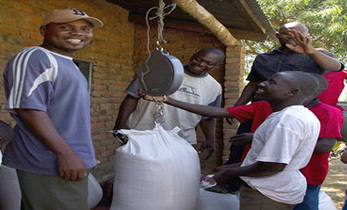 As a plenary speaker he also made a presentation on “A global research initiative on grain legumes: priorities, programs and partners”, to enhance awareness on the CGIAR Research Program – Grain Legumes and Dryland Cereals (CRP GLDC) and broaden partnerships to achieve the objectives of CRP-GLDC. The conference had technical sessions that ranged from the production and consumption scenarios to marketing, nutrition breeding and genomics. 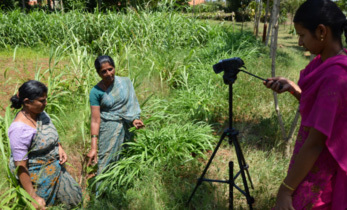 Workshops on specific legumes as well as on data and analytics were organized. A team of 15 scientists led by Dr Carberry, participated in the conference in various capacities. The bid by ICRISAT and the University of Nairobi to host the next IFLRC was successful. IFLRC-VIII will be held in Nairobi, Kenya, in 2022. IFLRC-VII was jointly hosted by ICARDA and INRA from May 6-8, 2018. There were 320 participants representing 42 countries. CRP-GLDC and Tropical Legumes-III projects supported the participation of over 20 NARS partners. 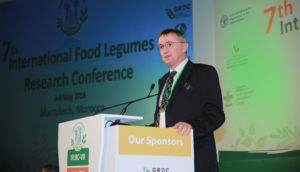 The IFLRC was started in 1986 to disseminate current knowledge and achievements of research and development in food legumes and identify research needs, new scientific approaches and partnerships. 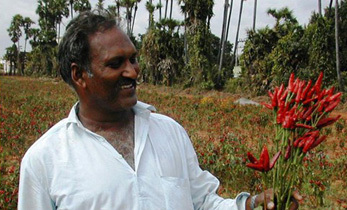 ICRISAT is a founder member of IFLRC.